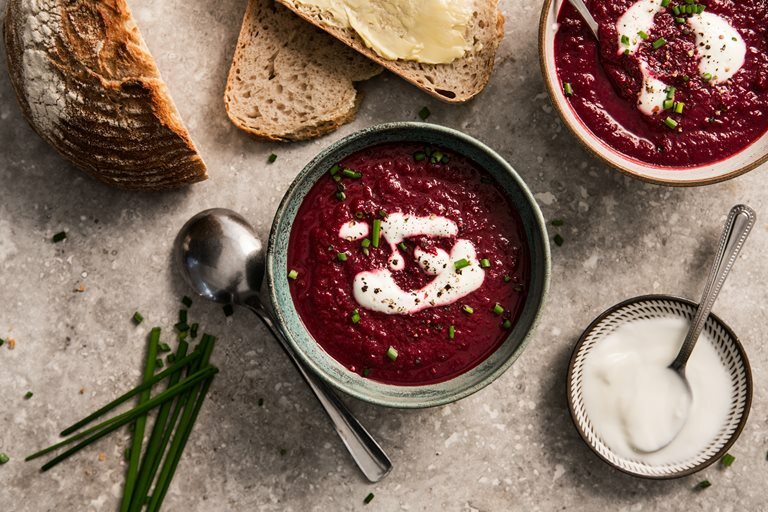 Soup is wonderful at this time of year, warming, nourishing and tasty. This dish is easy to make and has the most amazing bright purple colour to it. 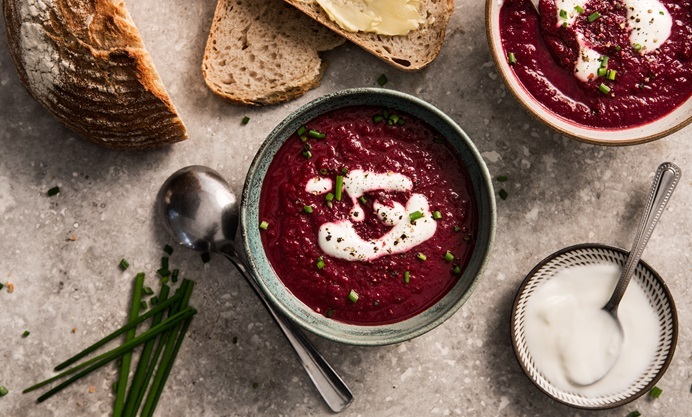 This soup is abundant in the antioxidant beta-carotene thanks to the delicious pumpkin and gives us a healthy dose of folic acid from the beetroot. The cinnamon gives this dish that extra taste and needed iron, calcium and manganese. It helps stabilize blood sugar levels, which is great for weight loss. Just smelling cinnamon alone is said to boost cognitive function and memory, so give the soup a good whiff before you dig in. Optionally you can top it with some fresh yoghurt or add a slice of crusty sourdough bread. Madeleine is a qualified nutritional health coach from the Institute of Integrative Nutrition, a creative chef, vociferous blogger, fledgling presenter and self-professed yoga enthusiast.